Citygrove supported CBRE on their five day charity bike ride from Bilbao to Santiago de Compostela, covering over 700km in some very wet weather. £100,000 was raised for CBRE's EMEA charity partner, Plan International, and their 'Safer Cities' project in Nairobi. Over four days the team cycled 700 km from Girona to Cannes. The team thanks all those who sponsored them, raising over £4,800 for Coram. Citygrove's office scheme St James's Place II in Cirencester was shortlisted for South West Property Awards 2017 "Office Development of the Year"
He travelled along the pilgrimage route called The Way of St James from Rome to Santiago de Compostela in Spain. Having completed the Way of St James in 2007 and the Via Francigena in 2011 he once more rode solo and unsupported. The trip, along with his previous journeys, have raised a total of over £33,000, with all the sponsorship monies raised going directly to Great Ormond Street Hospital Children’s Charity (GOSH) where his son was successfully treated for leukaemia. Construction of the 13-storey building is scheduled to start in the second quarter of 2018. A total of 15,245 square meters of gross floor area as well as an underground car park with 61 spaces. The hotel is due to open in 2019. Citygrove's leisure scheme The Old Dairy in South Ruislip was shortlisted for the RICS Building Award 2017 regeneration category. Planning has been granted for our landmark building on Rutherford Street in Newcastle. The site occupies a key gateway location, fronting St James Boulevard and will rise to 26 storeys and provide 162 residences. Planning was approved for the substantial mixed-use commercial and retail development located in the City of London. Citygrove is redeveloping the building on behalf of LaSalle Investment Management. This will provide efficient, high quality, modern grade A specified office accommodation with a prime retail offering at ground floor level. Citygrove's newest retail development in Spain is beginning to take shape. The 30,535 sq m scheme will comprise of a Bricomart (part of ADEO Group), Mercadona supermarket, Petrocat, Kiwoko, Sprinter, Maxcolchon to name but a few. In October 2016 Practical Completion was achieved at St James's Place Phase II. The building will be fully fitted out with the tenants furniture over the next two weeks and will be occupied by up to 425 employees of St James Place Wealth Management by mid November 2016. Citygrove and Legal & General Property (Team Annapurna) proudly presented a Variety Sunshine Coach to Ashgate Specialist Primary Support School in Manchester. This followed a trek by a team of 12 to Annapurna Base Camp raising money for Variety and for The Himalayan Trust UK. At last years EG Awards Philip Waddell won a Boultbee Flight Academy Spitfire experience at Goodwood aerodrome. This August he took to the skies over Poole harbour for a half hour flight which included loop-the-loop and a victory roll. A team of 12 reached the Annapurna Base Camp in Nepal. Raising money for Variety, the Children's Charity and Himalayan Trust UK the team trekked for seven days to a height of 4,200m through blizzards , thunder and lightening and along isolated mountain paths and up challenging steep ascents. Community groups working in some of London’s most deprived areas have told how grants from the Standard’s The Estate We’re In campaign are transforming lives. Campaigners fighting radicalisation and drawing people away from gang violence were among representatives of dozens of groups who met in central London for a celebration of their work. 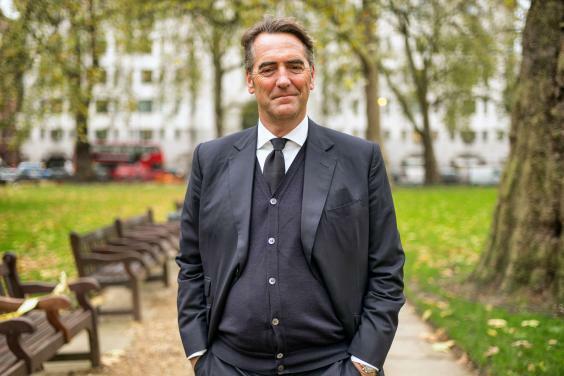 The Standard’s campaign editor also thanked other financial backers including the Cabinet Office, Linklaters law firm, Mount Anvil property developers, Lambeth Council and developer Citygrove Securities. Citygrove announced the opening of a new office in Hamburg, Germany and our first purchase in the city of Dusseldorf, Germany. The site, which is suitable for a range of commercial and residential uses is located on Moskauer Strasse, adjoining the main central station. A towering 26-storey residential block in the heart of Newcastle city centre could act as a beacon of economic investment for the city creating more than 380 jobs, developers say. Stonegate Developments launched plans for the scheme in Rutherford Street last November, hosting a public consultation event to showcase their plans which could result in £40.5m of inward investment in Newcastle. The tombstone, which dates back to the second century AD, was discovered at the former Bridges Garage Site in Tetbury Road during excavation work in February 2015 and is one of the best preserved examples of a Roman tombstone to be found in the UK. An Evening Standard reader who was inspired by our initiative to tackle social change on London’s housing estates has donated £50,000, taking the total raised for our programme to £1.5 million. Toby Baines, founder of property developer Citygrove Securities, made his gift as the community groups we have funded on our flagship Angell Town estate - offering boxing, outdoor gym, football training and a Saturday market - got off the ground, and as the new Astroturf football pitch was completed ahead of schedule. The competition to design the mural for the new Cineworld complex has been won by Barry Bulsara. His winning design incorporates popular films such as Star Wars, Harry Potter and Jurassic Park, with important Loughborough landmarks. As well as having his mural installed at the development, he has won a trip to New York including flights, transfers, accommodation and $500 spending money. Citygrove is delighted to announce that their scheme at Southwater Square, Telford has been short-listed for the Catering & Leisure Destination award. On the 22 July the Judge threw out Sainsbury’s case and dismissed their claim. In October 2014 Hillingdon Council planning committee voted unanimously to approve our exciting plans to redevelop the former Arla Dairy site in South Ruislip. We are committed to deliver a new 11-screen cinema, 132-new homes, family restaurants, a new Asda supermarket, petrol filling station and create over 530 local jobs. All of which represents an investment of £100million in South Ruislip. In January 2015 a Sainsbury’s spokesman confirmed they would be commencing proceedings to legally challenge the council’s legitimate decision to approve the plans. On March 11th 2015 the judge provided a robust and comprehensive decision dismissing all three of Sainsbury’s grounds. Citygrove has started on site to develop a leisure scheme comprising an eight-screen cinema and family-orientated restaurants. Citygrove is delighted to announce that in early October, Cotswold District Council granted the planning application for the second phase of St. James's Place offices on the former Bridges Garage site in Cirencester. Construction is due to commence early 2015. Citygrove is pleased to announce the opening of the 11-screen state of the art Cineworld Cinema at Southwater Square, Telford. McGrove is proud to unveil plans for a £350m tower in Vauxhall, SW8. The 551-ft tower includes circa 450 homes, 55,660 sq ft of offices and 7,836 sq ft of shops. McGrove Properties Limited is a joint venture between McLaren Property Limited and Citygrove Securities Plc to deliver London residential property. In May 2013 a team of 12 from Citygrove and Legal & General completed a five-day trek in aid of Variety, The Children’s Charity, to the summit of Mt Toubkal in Morocco raising a total of £54,000. Citygrove was the proud winner of the Estates Gazette's Award for 'National Property Company of the Year - Leisure 2012'.